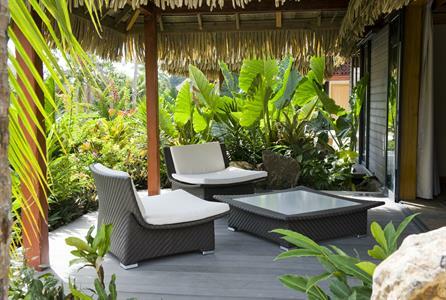 You will find our 12 Garden Bungalows nestled among tropical flowers and fragrant plants. 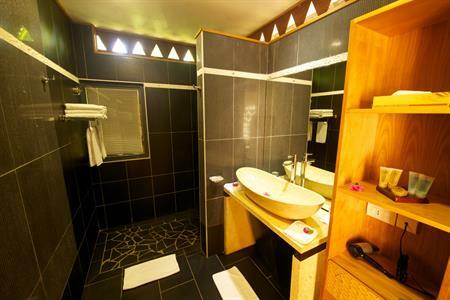 This luxurious accommodation is ideal if you are coming to Huahine on a limited budget as you can enjoy quality facilities, a stay in complete privacy, and spacious rooms without compromise. 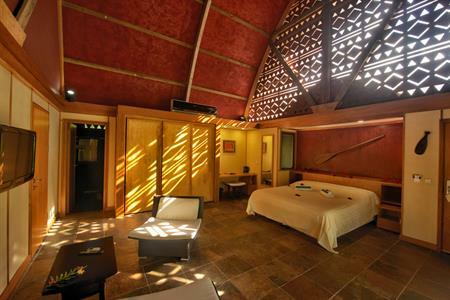 The Garden Bungalows at Maitai Lapita Village are equipped with a large, comfortable bed that can be separated into two single beds if you prefer. The bed will be beautifully decorated with fresh flowers upon your arrival, and a maid service is provided daily. 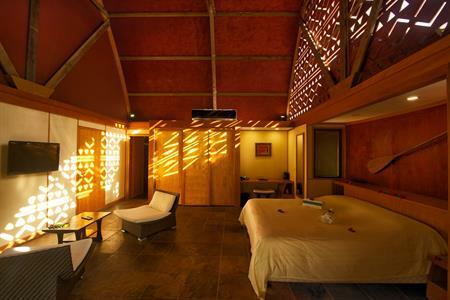 Other features available in the Garden Bungalows include: writing table and chair, mini-bar, room safe for valuables, tea and coffee service, TV, stylish lighting, spacious bathroom, complimentary toiletries, towels, and air-conditioning. JCB cards are not accepted for online payments. Please read our General Terms, Conditions and Notices. * Rates above are for 2 People. Sorry, rates and availability information is not accessible for selected dates. Please contact us by email: booking@huahine.hotelmaitai.com with your enquiry. Thank you.